GReads! : Reminder to Rock the Drop Tomorrow! Reminder to Rock the Drop Tomorrow! Last year I participated in this awesome event by leaving a handful of YA books around my community for teens to pick up and read. Within minutes of me leaving the books behind on benches and other public areas where teens frequent, they were picked up! It's a great way to introduce a book to someone who has never heard of it, or maybe doesn't have the means to get to a library or bookstore often. I hope you'll join me + so many other book advocates and #rockthedrop! 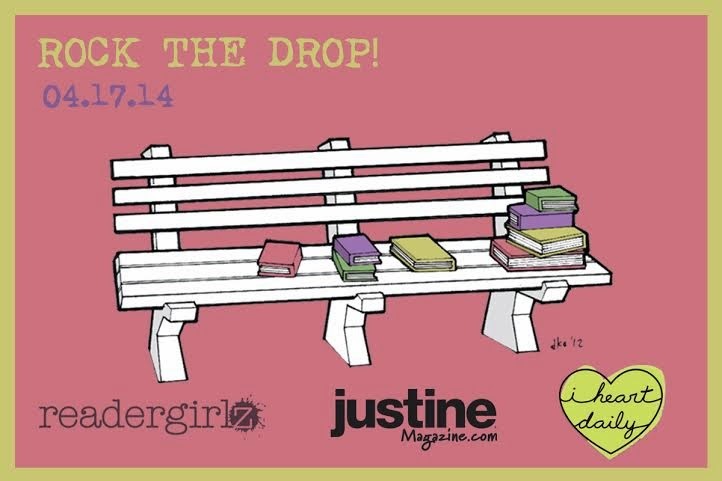 Rock the Drop is sponsored by iheartdaily and Justine Magazine.